This project is the first of several planned new multiple use logistics facilities that D.F. 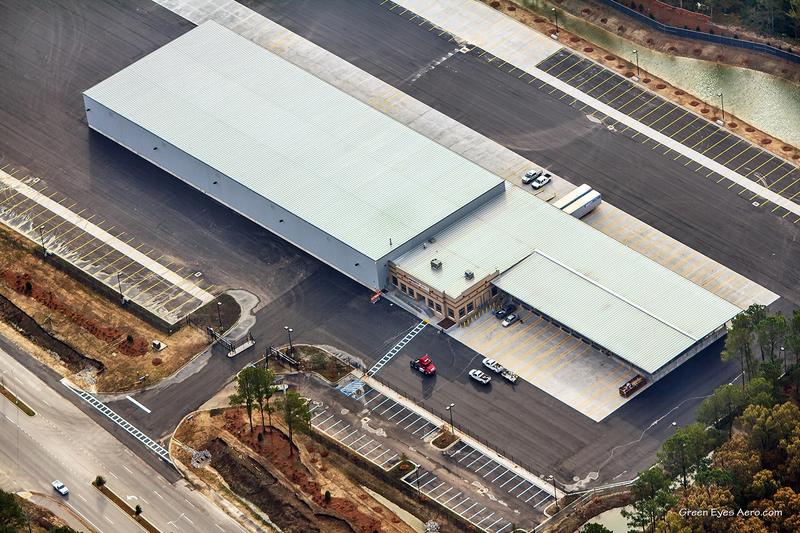 Chase has managed the turn-key design and construction on for Averitt Express. This project was constructed of a pre-engineered steel frame with a 2" thick stucco embossed sandwich wall panel system meeting the recently changed energy code requirements. The facility is in coastal and earthquake zones both so the structure is designed to withstand hurricane force winds and designed for seismic activity also. The facility has a 20,000 square foot cross dock area to serve 35 trucks at one time, a 4,000 square foot attached office/driver facility along with a 46,000 heated and ventilated warehouse. The facility is also set up for additional warehouse expandability if required in the future. The building and site paving/concrete systems were all designed for use with standard truck and trailers as well as to handle overseas containers.